Sun Prairie | KJay Photography in Madison! Fun and Creative Senior Pictures! VW Senior Pictures that rock. How to choose a Photographer? K Jay Photos Photography of Madison, WI specializes in High School Senior Pictures. Make sure to choose a photographer that specializes in what you are seeking. Every photographer has their own personal style so if you like their work you will most likely like your senior pictures. What is it in the end that you want besides amazing senior pictures? If you answered that you want the digital files to your senior pictures and copyright we are the photograph for you. If you answered that you do not want a pushy photographer trying to sell you expensive wall portraits after your senior picture session than we are the photographer for you. If you do not want to have to make multiple visits to the photography studio to schedule a session, the actual session, the pushy sales presentation to purchase prints at a very hefty price (afterall this is where most photographers make their money) then K Jay Photos Photography is for you. We suggest you create your list of prints that you will need and get the total cost from photographers before you choose. And if you answered that you want fun, creative beautiful portraits we are your photographer:) Call K Jay Photos Photography today to book your senior portrait session for senior pictures and an experience that rocks! 608-215-0047. The chance to meet new people, focus on what makes them unique and capture beautiful portraits. K Jay Photos Photography of Waunakee, just minutes from De Forest, Middleton, Sun Prairie, Madison East and Madison West specializes in High School Senior Portraits. Our customers will tell you that. Amy, DeForest, WI – I really enjoyed my experience with K Jay Photography. I love my senior pictures and my session was a lot of fun. Her outgoing personality made me very comfortable. All the different poses were fun and creative. She could just look around at the landscape and instantly come up with a great idea for a photo. I couldn’t wait to see my pictures, and once I did I was very impressed with Kim’s work. Read the review here. Nickee, Middleton, WI – My experience with Kim at KJay Photos was the best I could have asked for. Before my first session I was nervous to have my pictures taken. I wasn’t sure what to expect, but as soon as I got there she took the reins and made me feel like I was in good hands. She is extremely personable and made me feel right at home…. The hard work she put into making these photos showed and I couldn’t have been more satisfied with the final product. I would recommend Kim to anyone who wants to have a fun, laid back, and professional photo session… Read the entire review here. Cierra, Waunakee WI – I can’t imagine having done my senior pictures with anyone other than Kim at K Jay Photos. She really worked hard to make my senior pictures what I hoped for and even more. Although picture taking can sometimes make me nervous, with Kim I was completely relaxed and I was able to gie a truly natural smile. She is the most creative person I know… Not only is she a kind and skilled photographer, but she also has amazing editing skills…. Read the entire review here. 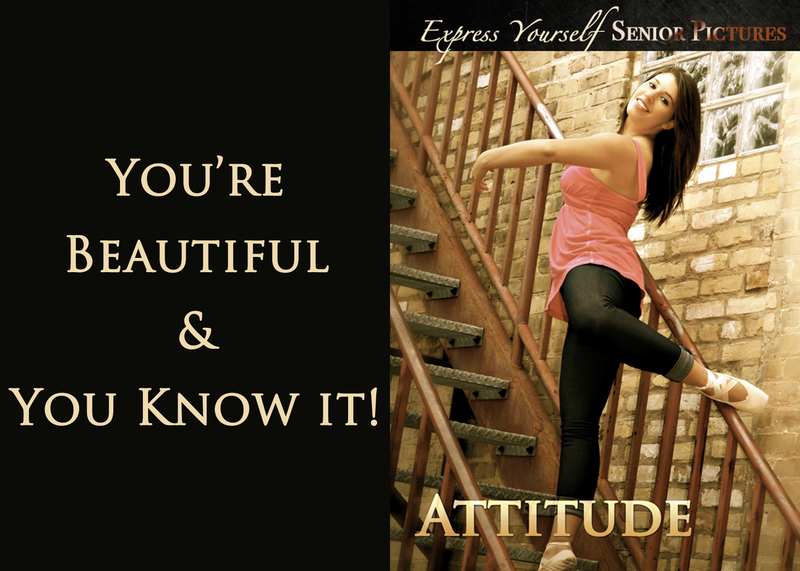 Alexis – Waunakee, WI – I could not say anything negative about KJay Photos! I did not know what to expect at first, but once we began Kim makes you feel very comfortable around her and really knows what she is doing. You can really tell she is passionate about what she does… I wanted my pictures to be different from everyone else’s and she exceeded my expectations… I was extremely satisfied on how my pictures turned out and how she spent a lot of time perfecting them. I would recommend Kim to anyone looking to get portraits done especially if they’re looking for high quality photos and uniqueness at the same time!. Read the entire review here. Gabby, McFarland, WI – I had a wonderful experience while working with Kim, she made me feel like I was right at home and very comfortable. I had no problem being myself around her. I could really tell that she loves what she does, and it made me love it as well… When I saw the pictures when they were all done, I couldn’t believe how great they turned out! Every time someone is talking about getting senior pictures, I automatically have to say K Jay Photos is the best place to go! Read the entire review here. Rae, Sun Prairie, WI – I am so glad I went to K Jay Photography for my senior pictures. Kim makes the experience very comfortable and we had such a great time. We were having so much fun every smile was genuine. I love the way my pictures came out and the quality of them are amazing. I am so glad I went to Kim, I not only got beautiful pictures out of it but also had a blast! I definitely recommend K Jay to everyone! Read the entire review here. Erin, Monona WI – I had such a great experience with K Jay Photography! Kim has an amazing eye for detail and a creative eye for photography. Kim’s bubbly personality made the session fun and comfortable and the final product was everything I had hoped for and more! If you’re looking for an upbeat, fun professional photographer, K Jay is the place for you! Read the entire review here. 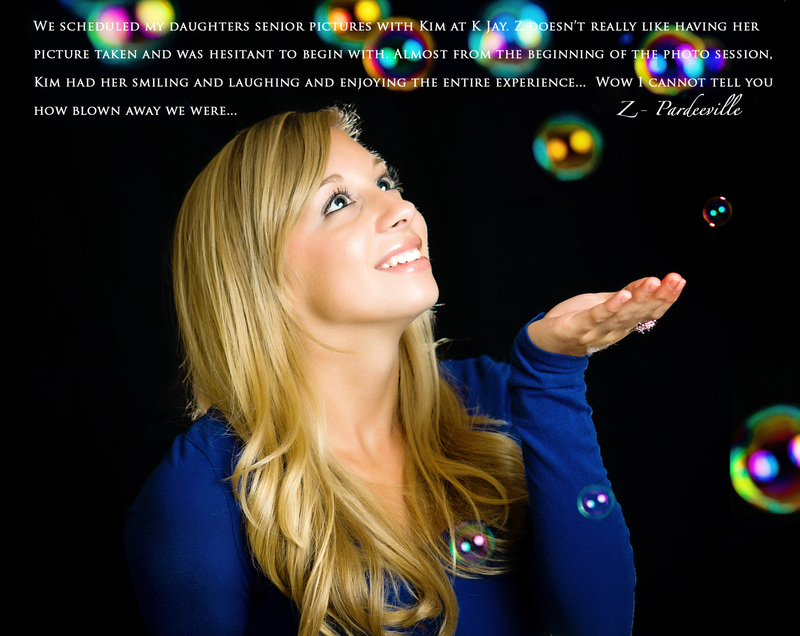 Z, Pardeeville WI – We scheduled my daughters senior pictures with Kim at K Jay. Z doesn’t really like having her picture taken and was hesitant to begin with. Almost from the beginning of the photo session, Kim had her smiling and laughing and enjoying the entire experience… WOW! Cannot tell you how blown away we were by the finished product, it was nearly impossible to choose… Read the entire review here. Want Beautiful Portraits? Now reserving 2013 Senior Portrait Packages. We offer a discount for those that go early, May & June Senior Portrait Session, and a limited available so hurry if you want in on saving $50.00! Contact Kim@kjayphotos.com for more information or call us at 608-215-0047 so we can start brainstorming about your beautiful senior portraits! Reserving 2013 Senior Portrait Packages now! IWe offer a discount for those that go early, May & June Senior Portrait Session, and a limited available so hurry if you want in on saving $50.00! Contact Kim@kjayphotos.com for more information or call us at 608-215-0047 so we can start brainstorming about your beautiful senior portraits!